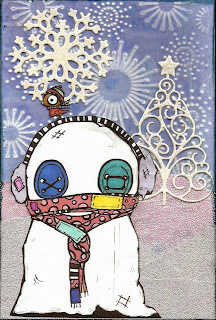 What a funny snowman:-) Love your creation, dear Anne! I think this snowman is very cute ! Must get some Octopode stamps !